Medegen 2 Quart Pontoon Bedpan is strong, solid and contoured for patient comfort. The plastic guard prevents spills and built-in handles simplify placement and removal. 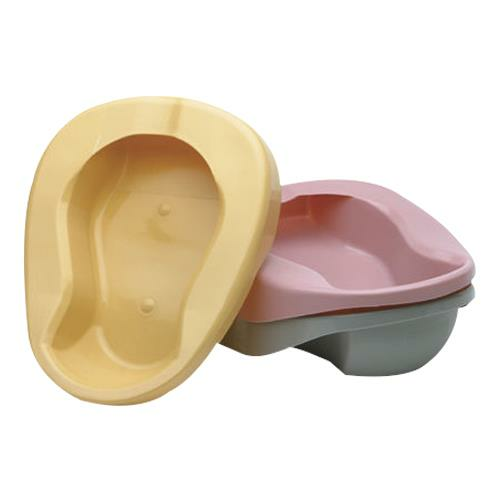 2 Quart Pontoon Bedpan features recessed tailbone area for extra comfort and Front rim to use as handgrip for stabilization and removal of pan. Rear overhang allows for added capacity while containing contents during transport.